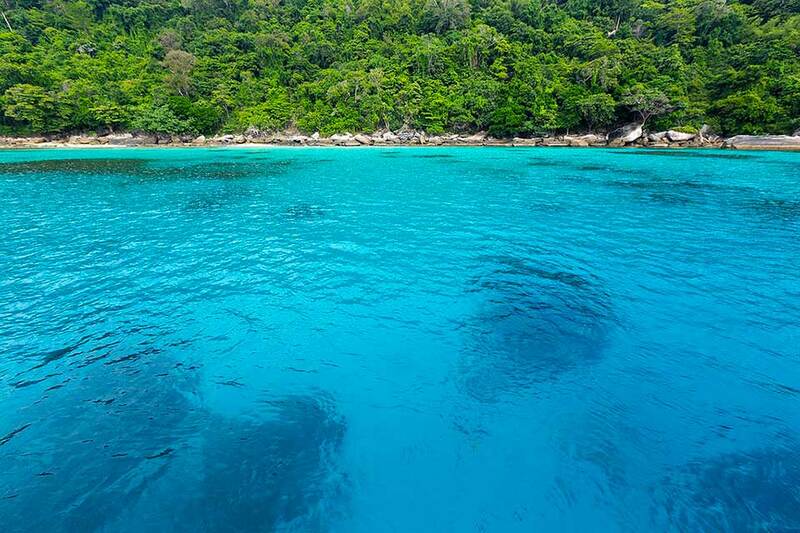 The islands of Racha and Maithon are known for their clear turquoise waters and excellent snorkeling. They are also a popular fishing spot. But it is not only fishermen that the local fish attracts, but dolphins too. They can often be spotted in the waters off Maithon Island. 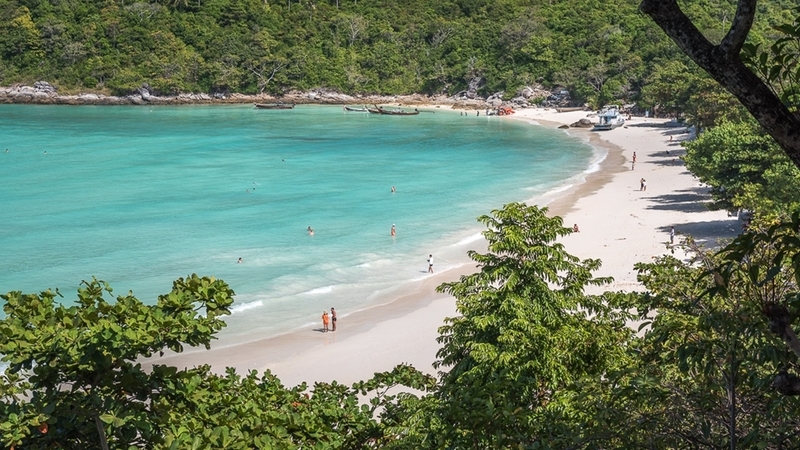 Maithon is going to be the first stop on our Racha Islands day tour. 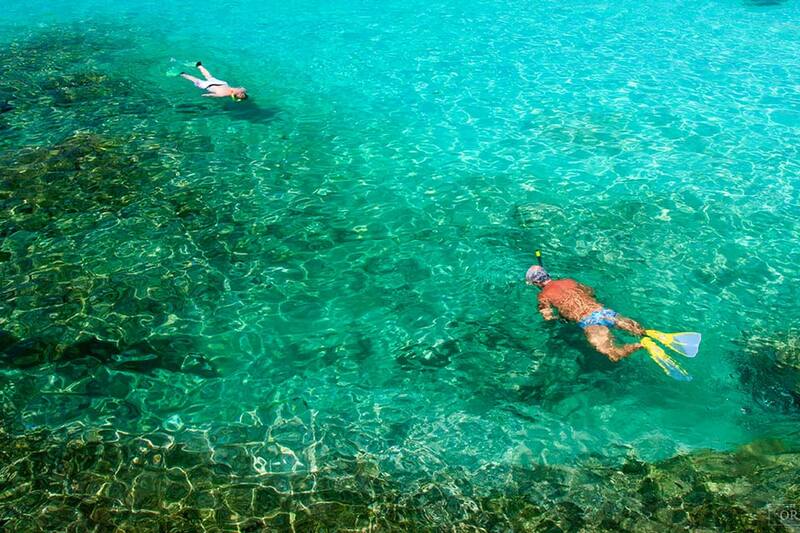 Boasting lush greenery and crystal clear waters the island offers great snorkeling. 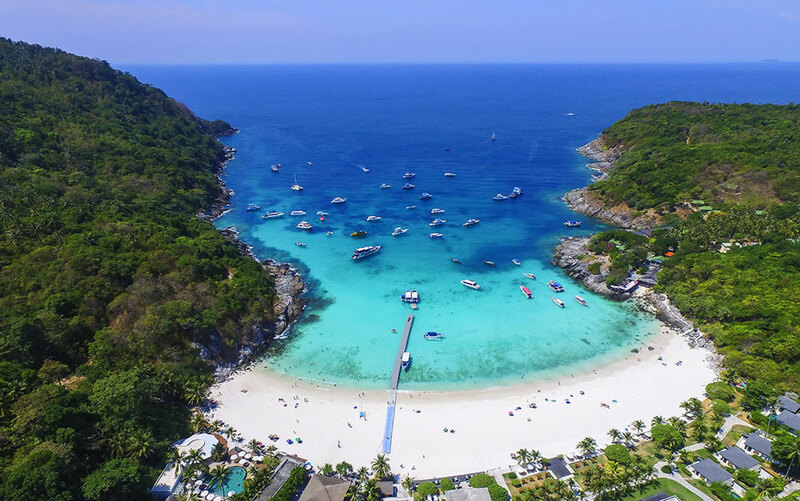 After you exlored the underwater world of Maithon it is time to move on to another excellent diving and snorkeling destination – the Island of Racha Yai. 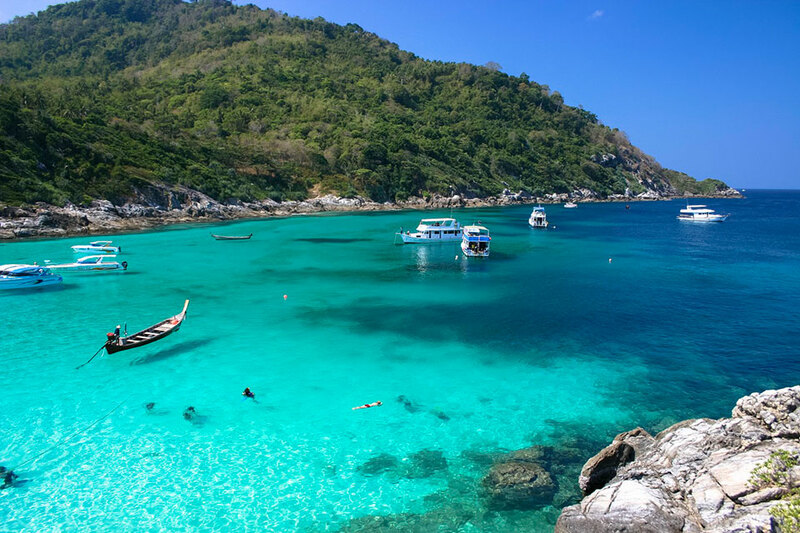 Only 30 minutes away from Maithon, Racha Yai is famed for its white sand beaches and coves withturquoise waters. 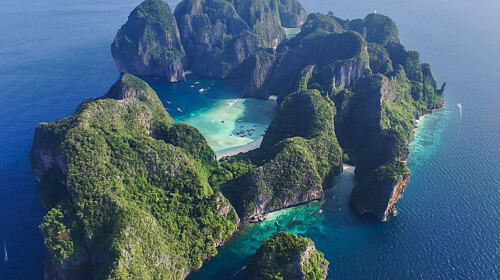 Visit Batok Bay, which many think to be just as beautiful as the famous Maya Bay at Phi Phi Islands. 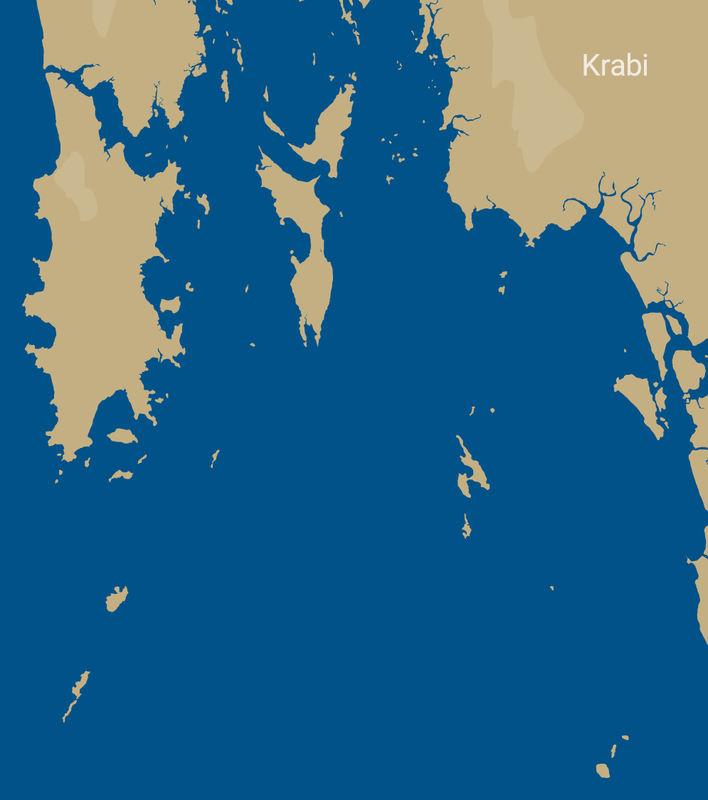 And then head to Siam Bay, also with a stunning beach and clear water. We’d like to know which one you will like more! Time for a delicious lunch that can be either offered on board or at the 5-star The Racha Resort. After lunch sit back and relax as we are taking you on a cruise around the beautiful bays and beaches of the island’s east coast. 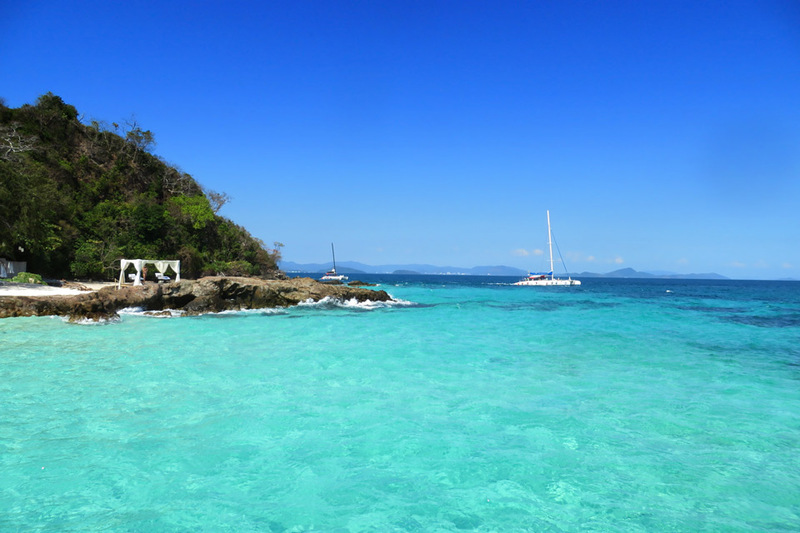 Again, you’ll find snorkeling to be quite good here, together with scenic views and almost complete privacy. 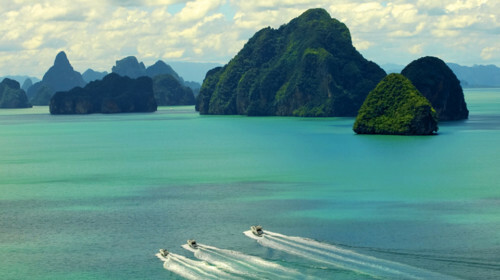 Having visited all the scenic sights of Racha and Maithon Islands, now it is time for you to travel back to Phuket. Contact Boat in the Bay to experience the Racha Islands day tour by private yacht. 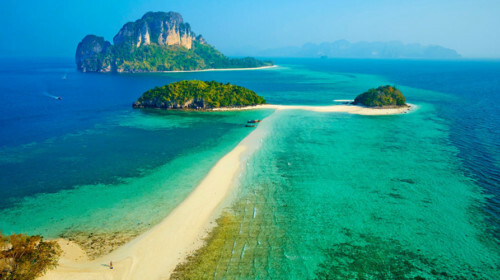 Other options on our 1-day cruise timetable starting in either Krabi or Phuket would be to visit the locations of Krabi Province, Phang Nga Bay, the Racha Islands, or to cruise around the secluded beaches of Phuket.